ORIGINAL STORY: Summer festival FOMO is back with its FOMO-inducing 2019 lineup, headlined by Nicki Minaj, Rae Sremmurd and ‘Gucci Gang’ rapper Lil Pump. Minaj will be making her Australian festival debut at FOMO next year behind her new album Queen, after she recently told fans she’d be touring Australia in 2019. 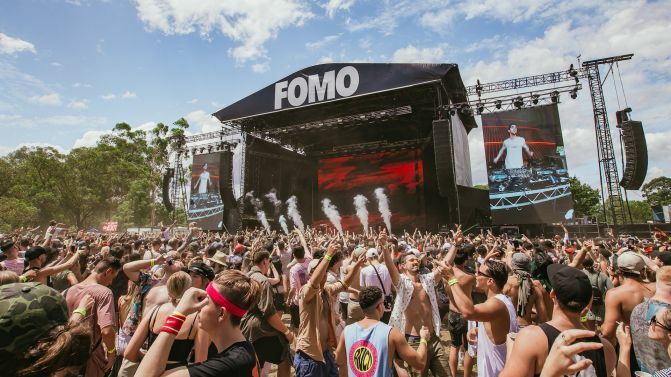 FOMO is bringing its one-stage (and clash-free) setup to Brisbane, Adelaide, Sydney and Melbourne across two separate weekends in January, with sets from other acts like producer Mura Masa, singer-songwriter Kali Uchis, Dutch DJ San Holo, Australia’s Anna Lunoe and Scottish artist SOPHIE. The festival made its Melbourne debut earlier this year, after expanding from three cities to four with its evening event FOMO By Night. In 2019, the full event will be heading to Melbourne’s Flemington Racecourse. Organisers have also revealed plans to expand FOMO By Night into a number of other still-to-be-announced cities in the future. In 2019, the festival will help to support arts charity Heaps Decent and the Asylum Seeker Resource Centre by donating one dollar from every online ticket sold. Organisers are also launching an official online ticket resale facility to allow punters to safely sell and purchase tickets. Catch the full 2019 FOMO lineup and all the festival dates and ticket details, below.